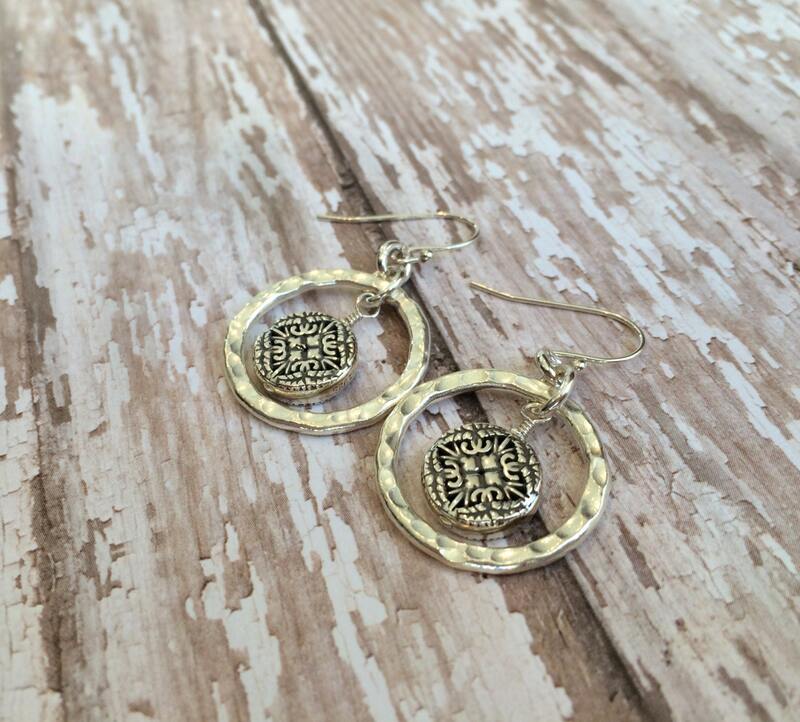 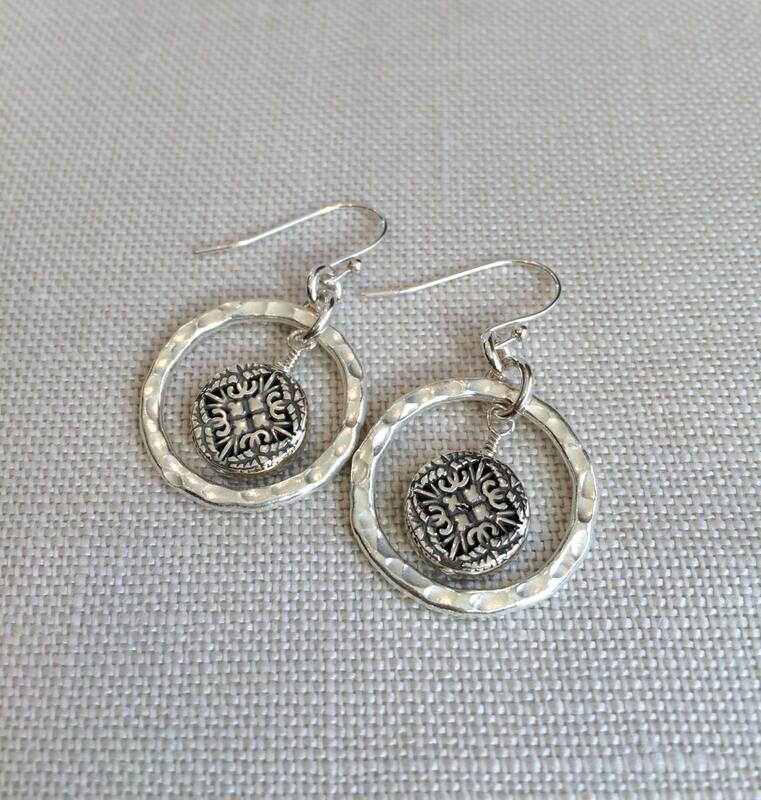 A solid hammered silver hoop is surrounded by an intricately designed silver charm. 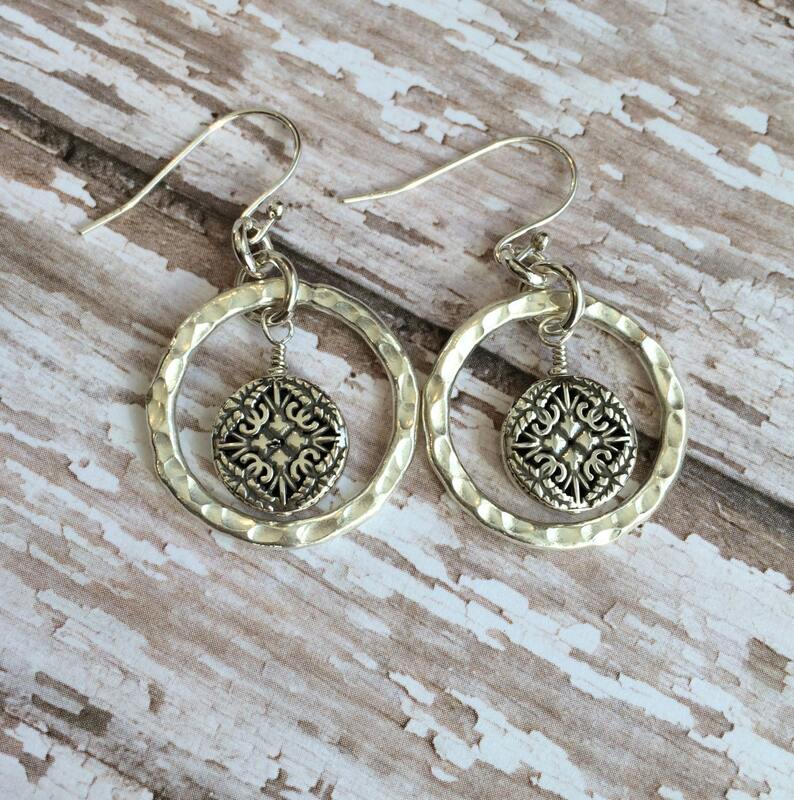 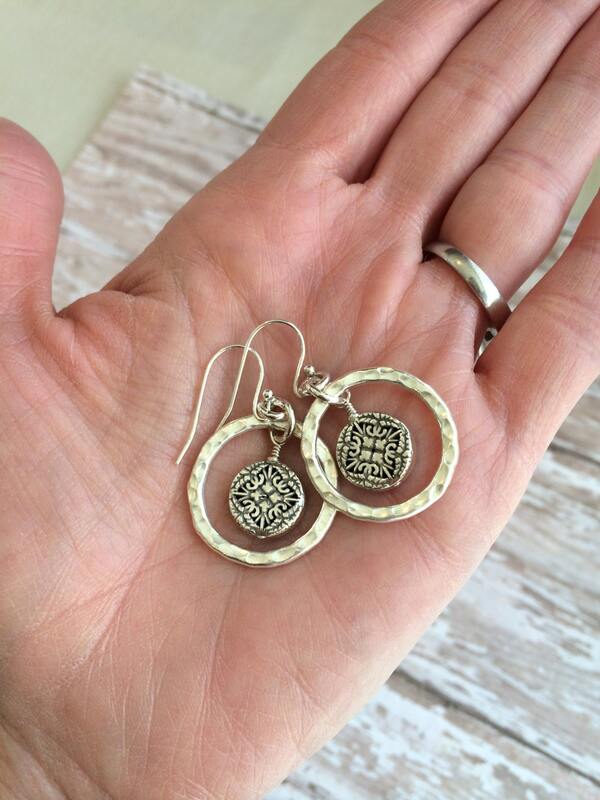 The charm is patterned on both sides and adds a nice swing to the earring. 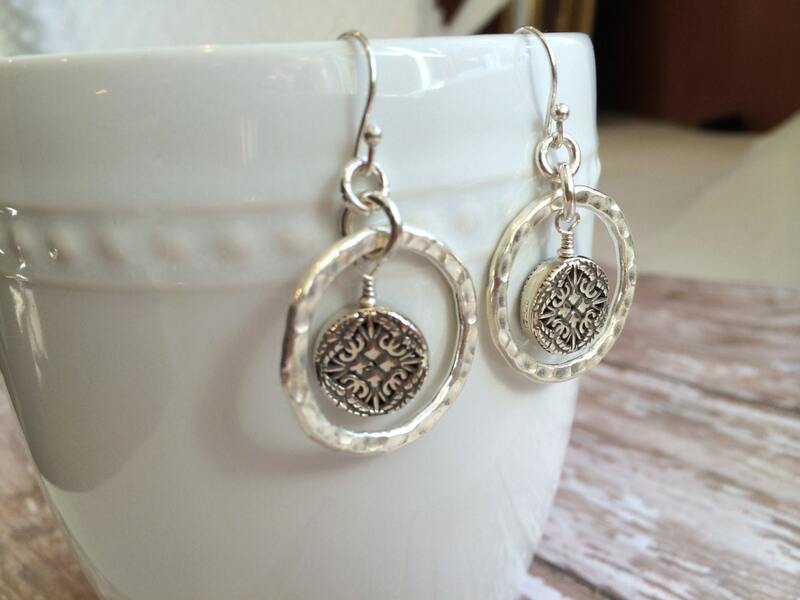 French ear wires are solid sterling silver.